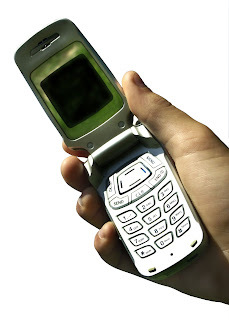 MDU Geek: Cell Phone Service: Amenity or Expectation? As more residents gravitate to cell phones as their primary (or only) phone line, this trend has trickled down to affect a whole host of systems that are regularly deployed at multifamily properties: telephone entry systems, intercoms, security alarms, and even satellite TV systems, to name a few. All of these are important considerations for property owners that need to be examined, but I recently had an interesting debate with a colleague about the central driver of this issue - the cell phone service itself. I say that cell phones are ubiquitous, and consumers - your residents - now expect to be able to use their mobile at their leisure, no matter where they are. Therefore, property owners need to provide quality cellular coverage in the same way that they now provide high-speed Internet to their residents. Conversely, she says that cell phone amplifiers are an amenity that can be marketed by forward-thinking property owners... while that may be true, I think cell service is now like plumbing or air conditioning - the properties that don't have it will be at a serious disadvantage. From personal experience, I know that it can be very frustrating if I'm sitting in an airport that has lousy cell coverage... I'd be really frustrated if that happened in my kitchen. Because many residents now forego the traditional landline in exchange for their mobile phone, I'm going to make the assumption that these folks will want to use that cell with some reasonable level of service. We've been doing cell network amplifiers in buildings for over two years, with noticeable improvement in in-building coverage in almost every instance... there are even a number of other companies that focus solely on in-building wireless. As you're considering the wireless communications that complement wired services for your property, take a three-pronged approach: look at how you will offer high-speed wireless Internet, two-way radio service for emergency responders, and quality in-building coverage for the major cellular carriers. Answer these three questions, and your residents truly will be able to enjoy unwired convenience in their wired world.